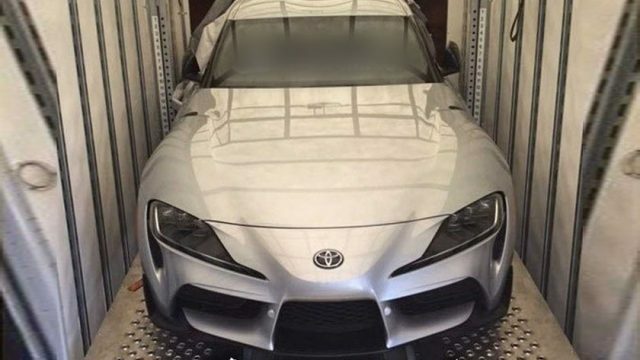 The all-new Toyota Supra 2020 has been spied unwrapped in a container somewhere in Europe. 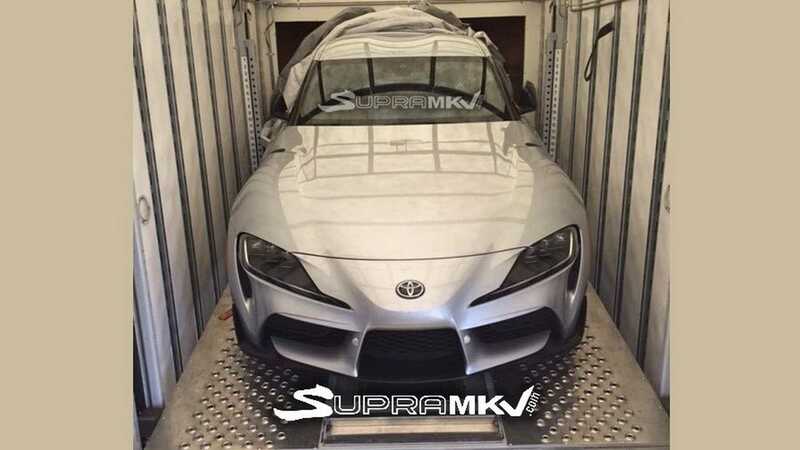 The photo was leaked and shared by supramkv.com and it looks like the new highly anticipated Toyota Supra is on its way to some auto show. The car in the photo is without any sort of camouflage or masking sheets, showing its front end in its full glory. The front end looks sleek yet aggressive with that bulging nose with Toyota monogram on it. The front bumper has big air vents in the front. 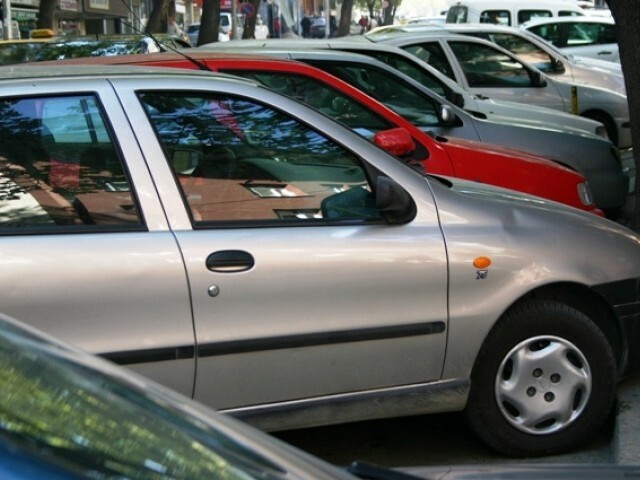 However, the bonnet likes are soft and rounded with metal sheet work of the lid being flushed with the fenders. The production model Supra 2020 looks close to its concept visualisation that was revealed a few years ago. 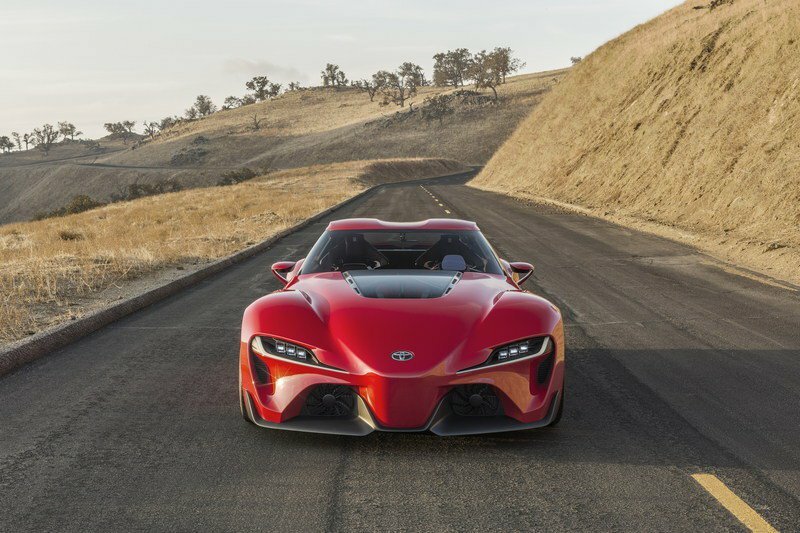 The nose stayed but the bumper vents were rearranged to accommodate the cooling needs of the 3.0-litre, turbocharged, inline-six motor, which this Supra will share with the new BMW Z4 as well. 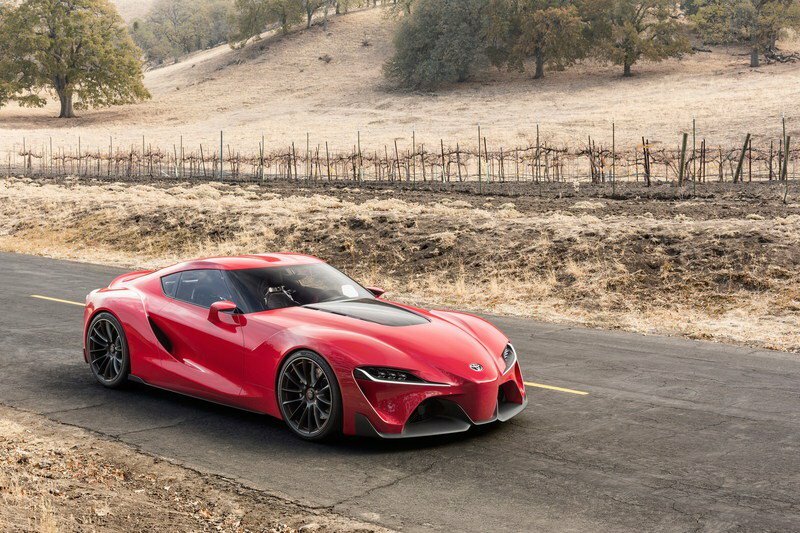 Most of you might already know that BMW and Toyota joined forces to make the new Supra/Z4. Both sports cars will share the drivetrain and platform, however, the shell of the car, as well as the interior of both cars, will be bespoke to both brands. Both the new 2020 Supra and Z4 BMW, of course, will be rear-wheel drive like their predecessors.